Columbus Day seems like a fitting debut for Fiat Chrysler on the New York Stock Exchange, don't you think? This is an Italian-American success story after all. Shares of Fiat Chrysler began trading on the NYSE Monday under the ticker symbol FCAU. Fiat Chrysler opened at $9 and quickly moved as high as $9.55 before pulling back a bit. Chrysler hasn't been publicly traded in the United States in more than seven years. At that time it was known as DaimlerChrysler. Daimler (DDAIF) agreed to sell Chrysler to private equity firm Cerberus in 2007. Fiat's stock had previously traded as Fiat SpA (FIATY)in Milan and the United States. Those shares have outperformed GM (GM) and Ford (F) so far this year, largely due to the resurgence of Chrysler -- the smallest of Detroit's Big Three. Chrysler reported a sales increase of 19% in the United States last month compared to a year ago. That is Chrysler's 54th consecutive month of year-over-year sales gains. The company has done particularly well with larger vehicles, which are becoming more popular again as gas prices fall. Jeep sales are surging, as are sales of Chrysler's Ram trucks. Chrysler has turned its fortunes around since Fiat, led by enigmatic CEO Sergio Marchionne, took control of the company following its 2009 bankruptcy. 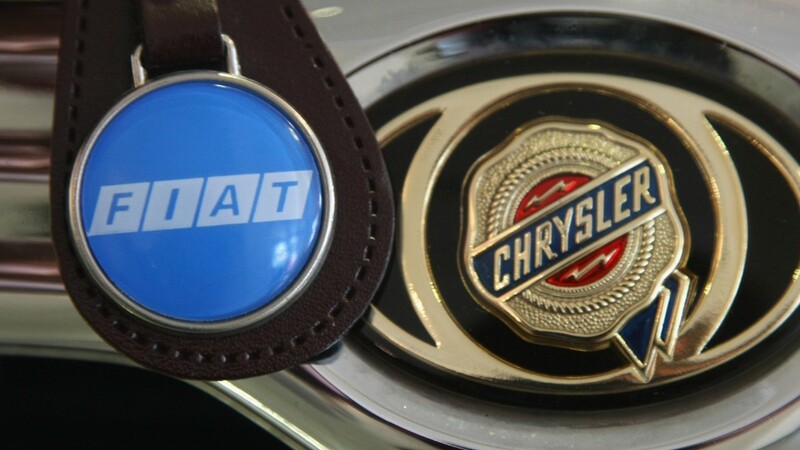 Fiat initially purchased a 20% stake in Chrysler and now owns the whole company. The combined business is profitable as well, no small feat given how bad things got during 2008 and 2009. But can Fiat Chrysler grow further? Right now, it still is just the seventh-largest automaker in the world by sales. In addition to trailing Ford and GM, it's also smaller than Toyota (TM), Volkswagen (VLKAF), Renault-Nissan and Hyundai-Kia. Marchionne hinted in a recent interview with Bloomberg Businessweek that there could be more consolidation in the auto industry and that Fiat Chrysler could be a buyer. There has been chatter over the past few years about the possibility of a combination between Fiat and Honda (HMC) or Suzuki (SZKMF). Fiat also announced a partnership with Mitsubishi Motors last month in which Mitsubishi will produce new midsized pickup trucks for Fiat in Europe and Latin America. Could a full-blown merger of the two be next? Any of these would be a bold deal that could catapult Chrysler ahead of Ford in the global sales rankings. Marchionne has said that he plans to step down as Fiat Chrysler CEO in 2018. So if he wants to do another huge deal to make the company even bigger, he's only got a few years to add to his legacy.